Australian sheep loading onto an export vessel. LIVE sheep exports from Australia to the Middle East would be formally banned in June, July and August this year in a new law, as part of proposed conditions released for comment by the Department of Agriculture and Water Resources. A proposed order prohibiting sheep exports from June to August is consistent with the three month moratorium suggested by the Australian Livestock Exporters Council late last year. The conditions also require vessels to record on-board wet bulb temperatures, as the industry debates the validity of a 28 degree wet bulb temperature upper threshold on Middle East shipments. 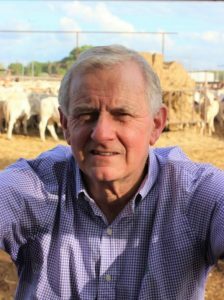 At the WAFarmers annual conference last week, Australian Livestock Exporters Council chairman Simon Crean said when the Heat Stress Risk Assessment (HSRA) Review draft recommendations were released in December 2018, it showed that to implement a 28-degree Wet Bulb Temperature threshold, the live sheep trade would cease. He said ALEC, Sheep Producers Australia, Cattle Council and others are prosecuting the case, backed by relevant science, that shows the need to revisit that wet bulb temperature threshold. “If implemented, that 28-degree wet bulb limit would set a likely crippling precedent for all aspects livestock supply chain, including on-farm and in road transport. “There’s a lot more at stake here that just live exports,” he said. The department last week said it is seeking feedback on the proposed conditions for sheep exports to the Middle East for the upcoming northern summer to support animal welfare outcomes. The department’s secretary expects to make the final Orders on 22 March 2019. The allometric stocking densities, independent auditing of pen air turnover readings, automatic watering arrangements and reduced notifiable mortality level from the existing Northern Summer Order are maintained. There will be a requirement for vessels to be equipped with automated data logging equipment to record wet bulb temperatures and for that data to be reported to the department for all voyages during northern summer to provide a comprehensive picture of animal welfare. The Secretary will sign an Order prohibiting sheep exports from June to August by law. The department said conditions for September and October will be determined once the Heat Stress Risk Assessment panel has completed its review, a regulation impact statement has been undertaken and the additional evidence on voyages in May 2019 is examined. The proposed conditions are based on consideration of the draft report of the Heat Stress Risk Assessment panel, submissions in response to the draft report and Independent Observer reports from May 2018.
a reduced notifiable mortality level for sheep exported by sea to the Middle East (from 2 to 1 per cent). Independent Observers are also required on all voyages that can accommodate them to provide an additional layer of assurance that exporters are complying with their requirements. The department said there was little evidence of significant animal welfare issues on voyages during May 2018 and the department believes it is important to gather more information this May to inform future regulatory decision-making for the northern summer. There was also evidence in submissions that June represents an increase in hot weather, which informed the department’s proposal. The department will use the data to better understand sheep responses to varying wet bulb temperatures in a shipboard environment. This new evidence will be closely scrutinised to build a comprehensive evidence base for live export regulation. The department said it remains committed to establishing a regulatory system that establishes the highest standards of animal welfare based on the best possible evidence. New data gathered on voyages this year will be used to build a comprehensive evidence base for live export regulation in the future, it said. Feedback on the proposed conditions should be directed to NHS2019comments@agriculture.gov.au. The Secretary expects to make the final Orders on 22 March 2019. Further information is available at agriculture.gov.au/animal/welfare/export-trade/proposed-conditions. Australia has made it well and truly known we don’t want the live export trade to continue. This needs to stop right now. We will not ever give up until it does. Listen to us please. This will be affecting my vote at the upcoming election and many peoples’ votes as well. If the government continues to fail to listen to it’s people, they will 100 percent lose our votes. We will vote for someone who does listen. Thanks for your time. I’m not sure why there will be a requirement for vessels to be equipped with automated data logging equipment to record wet bulb temperatures and for that data to be reported to the department for all voyages during northern summer to provide a comprehensive picture of animal welfare, if shipments during the northern summer are banned. 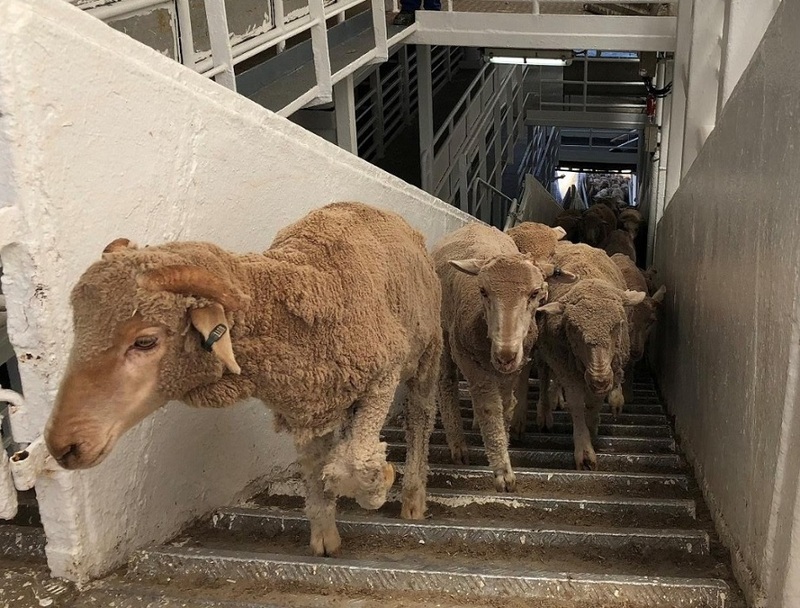 Does the June to August-inclusive ban mean sheep are not permitted to leave Australia from 1 June to 31 August or not permitted to be on board a ship between 1 June and 31 August? That is, loading of sheep bound for the Middle East would need to cease by about the end of the first week of May to ensure they are not arriving in the Gulf in June. Conversely, they could be loaded after the second week of August knowing they wouldn’t reach the Gulf until September. None of this, of course, addresses the fact that thousands of sheep have died from heat stress outside those three northern hemisphere summer months. Needless to say, I won’t be at all surprised if this government (not that it will be in power by June) would state they will make their decisions based on science, then reject the science because it means the end of the live sheep trade. This is a travesty. The Australian Veterinary Association, the peak body, said, based on scientific evidence, that it could not recommend live sheep exports during the northern summer ie between May and October. The McCarthy report – the science – says the limit should be a wet bulb temperature below 28 degrees. DAWR’s so-called ‘independent’ observers are DAWR vets. That is not what I call independent. I have read all the IO reports. Sheep are still suffering heat stress. After a 6 month battle for release of information through FOI the RSPCA has published the photos in the full IO reports that look exactly the same as the pictures we saw on 60 Minutes. Obviously it is business as usual for live exporters. This trade should not be allowed to continue while animals suffer heat stress in live export ships. It is obvious to me that DAWR has a huge conflict of interest because it is the regulator and also responsible for animal welfare. Animal welfare in live export is an oxymoron. Live exports should cease from 1 May to 31 October.